Exposé® and Exposé Refills | Centrix, Inc.
With Exposé, there is no measuring or mixing, and no need to stock vinegar for accidents. 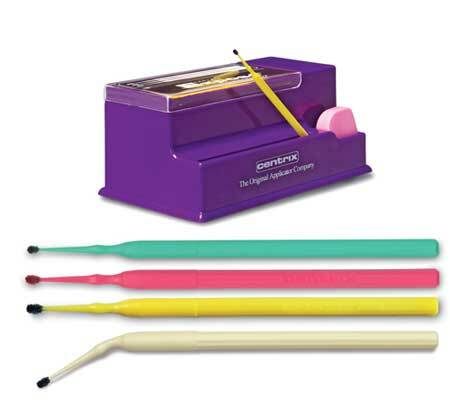 Exposé is a caries detector solution pre-applied to Centrix Benda Micro single-use applicators, eliminating set-ups,cleanup and cross contamination. Apply Exposé by touching a wet tooth surface, and this propylene glycol-based caries detector will only stain the outer infected dentin, allowing the dentist to conserve healthy tooth structure. Exposé eliminates the mess of bulk containers and brush-tipped syringes, and it’s available in 2 head sizes and 2 detector colors.